10:45pmET: Week 4 projections updated. Next update Sunday around 12:15-30pm after inactives declared. More and more worry that Carlos Hyde is more hurt than being letting on -- you have to assume Matt Breida gets the bigger workload. Raheem Mostert is a long shot. Ty Montgomery may not be as bad as first reported. Might play next week considering the 10 day rest. Dirk Koetter is being standoffish on whether the team will activate Doug Martin next week. 8:10pmET: My 3,500+ word take on GB-CHI will be out before midnight ET, planned for. NO-CAR, CLE-IND on Saturday as well as Blazing Five. 8:05pmET: One of the things I've talked to people about today, post Adams-decapitation, is if Davante Adams is out for an extended period of time...2-3+ weeks -- if you know you're going to need to hit waivers for a WR next week for his replacement, I name to consider too-early pick up of is Taylor Gabriel to see if he is about to pop. I'd add JuJu Smith-Schuster to the list but he has the Jags next week. Not good. Just food for thought for those in need of a WR. Tyrell Williams has OAK but then DEN, NE, BYE, JAC. He's got one week before you ditch him in redraft. Lavonte Davis, Kwon Alexander, T.J. Ward all out for TB -- Evan Engram!!! 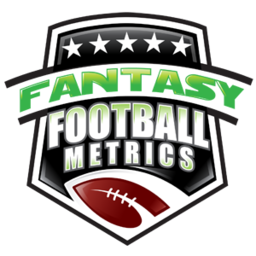 4:05pmET: FYI, Week 4 Projections will update later tonight after all the injury reports are filed...somewhere between 8pm-1145pmET.